Les Disques du Crépuscule is a legendary Belgian independant label which also issued recordings by Factory Records' affiliated artists as Factory Benelux. The label is also renowned for paying a particular attention to its artwork with his head designer Benoit Hennebert. 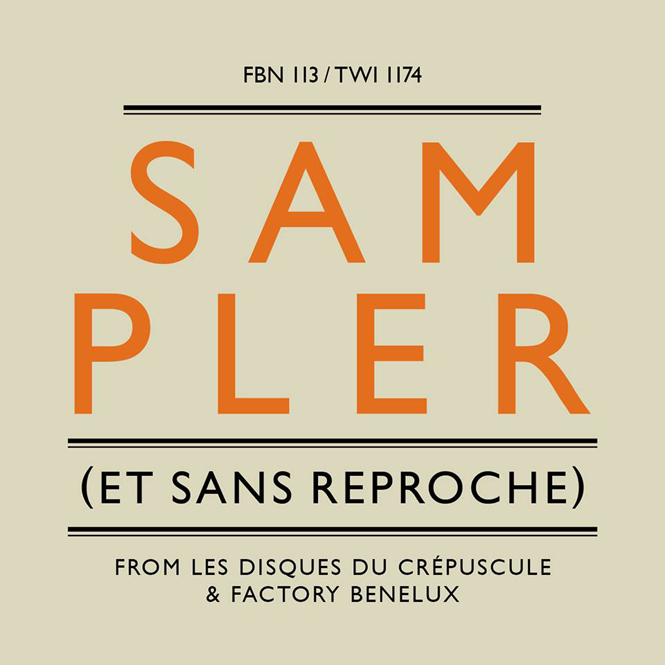 Sampler (et Sans Reproche) is a free sampler CD from Les Disques du Crépuscule and Factory Benelux featuring new and rare tracks from the label's releases in 2014/15, together with a few exclusives and tracks from selected label friends. It's my first collaboration with the label.